Cellulite is not a problem that goes away overnight. However, most manufacturers claim to have the product that removes this problem right away. Then, there are cosmetic surgery treatments available. Deciding which option to choose is harder than it looks. Compare and contrast the benefits of each method in reducing cellulite. Most skincare creams are full of chemicals besides water and active ingredients. There are preservatives, plant extracts, glycerin, dimethicone and a host of other ingredients that few people can pronounce. Most skincare experts agree that at least half of the ingredients that you see in creams do not need to be there. Cellulite creams are packed with a wide range of ingredients with half of them being effective and the other half being toxic and unnatural for the body. In contrast, the Venus Legacy cellulite reduction treatment uses radio frequency energy to replace a concoction of harmful chemicals. Some people worry about radio frequency energy, but it does not emit the same level of destructive radiation as people imagine. Plus, the procedure lasts an average of 30 minutes, and the short-term sessions occur only once or twice a week. Clients are not overexposed to large amounts of radiation for long periods of time. Cellulite creams do not work overnight, unlike what some companies advertise. It may take weeks of daily applications before you see the first results. The results last only if you continue applying the product faithfully. Once you stop, the cellulite reappears. The Venus Legacy treatment also requires several treatments until you see results. However, when you stop getting treated, the results last for approximately 18 months. Only one treatment every two or three months is needed to maintain your smooth skin. Most people do not ignore rubbing creams onto their bodies twice a day. Many rather consume pills and don’t look forward to the long, meticulous tasks of applying cream. When you have cellulite, you usually have a lot of area to cover besides the face. When they take cellulite reduction treatments in Phoenix, they only have to sit back and let the practitioner do the work. Afterwards, there are few side effects and the clients return to work or home immediately. They avoid the repetitive task of following a daily skincare regimen. You have the option between creams or cosmetic surgery to get rid of cellulite. Everyone has different preferences and receives different skincare results. Decide whether you want to apply cellulite cream every day or spend the money on professional treatments. For most people, the better option is the Venus Legacy treatment for cellulite reduction that has helped countless people in need of smoother, firmer skin. Laser skin resurfacing is actually a skin care procedure done by physicians or dermatologists. It involves the use of lasers to help enhance texture as well as appearance. There are two main types of lasers: ablative and non-ablative lasers. Your physician can advise on which procedure is perfect for you depending on your specific needs and requirements. Ablative lasers include Erbium or carbon dioxide. Carbon dioxide laser resurfacing treatment can help get rid of warts, deep wrinkles, and scars. Erbium is commonly used for wrinkles and finer lines in addition to other superficial skin issues. Ablative lasers are used to remove the outer layers of the skin. When it comes to non-ablative lasers, things are different. They do not remove skin layers. They may include pulsed-dye lasers, fractional lasers, and pulsed light. Non-ablative lasers can be used for acne-related skin issues, spider veins, and rosacea. Who should go for this procedure? Are you suffering from sun, acne, or age-related skin care problems that can’t be treated with the help of over-the-counter products? If yes, then this product can be a perfect choice for you. It can help treat skin concerns such as age spots, acne scars, crow’s feet, scars, sagging skin, fine wrinkles and lines, warts, uneven skin tone, and enlarged oil glands. Any good physician will perform a number of tests to determine whether Laser Skin Resurfacing in Phoenix AZ is the most appropriate cosmetic treatment procedure for you. Individuals with light skin tones make good candidates for this procedure. This is because they have lower chances of experiencing hyperpigmentation. Laser skin resurfacing is not appropriate for people with excessive skin sagging or acne breakouts. The procedure is commonly done during the winter to help minimize sun exposure that can destroy delicate skin. Laser skin resurfacing focuses on the out layer of the skin of a patient while heating the lower layers within the dermis at the same time. This helps promote collagen production. New collagen fibers can help create a new skin that is not only smoother in texture but also firmer to the touch. 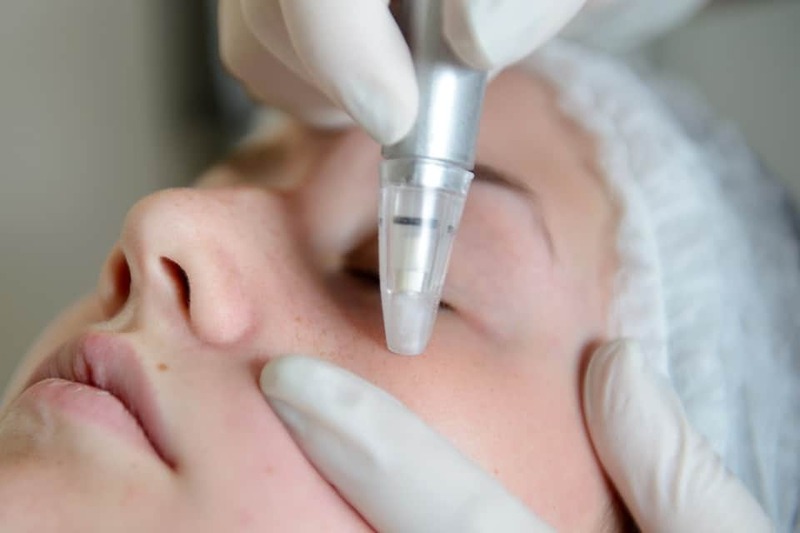 Before the start of the laser skin resurfacing, dermatologist prepares the skin of a patient by doing a series of treatment several weeks before the start actual procedure. This helps to enhance the skin’s tolerance to treatments. Another good thing about it is that it minimizes the risk of side effects. 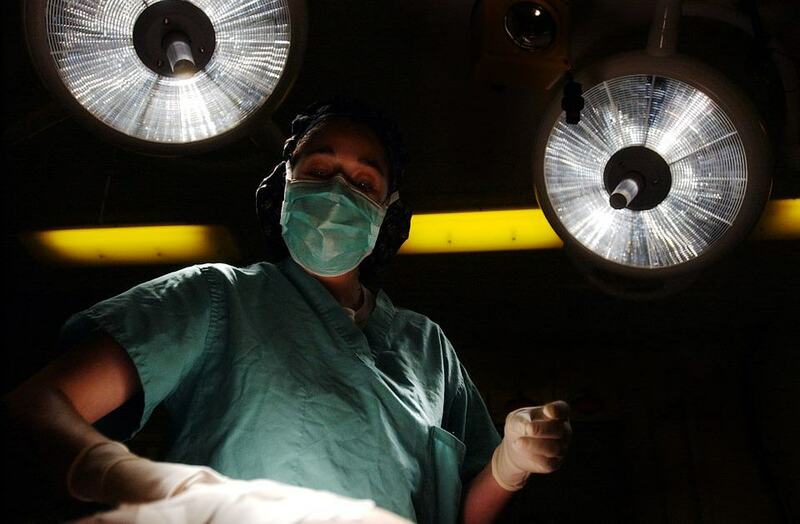 During the procedure, the physician starts by applying a topic anesthetic on the part being worked on to ensure that the patient remains comfortable throughout the process. The skin is then cleansed to eliminate excess dirt, bacteria, and oil. The doctor moves the laser slowly over the designated part. The part is then dressed for protection purposes. Cellulite is the number one enemy for many women and some men. It is very common in some women where it affects up to 90 percent of the women in the U.S. Cellulite is a condition that is characterized by excessive storage of fat in the skin tissue. It then exerts pressure on the surrounding adipose tissue, which results in dimpled irregular appearance. Some women suffer from this condition more than others due to diet, genetics and lifestyle choices. Although cellulite doesn’t have profound health effects, it can be a sign of an underlying medical problem that needs to be addressed. Examples of such underlying conditions include poor liver health, nutrient deficient diet, hormonal imbalances, or even poor digestion. There is a host of treatment options for eliminating cellulite, but eating a healthy diet and exercising regularly can help to reduce the appearance of cellulite on your skin. Recently, researchers have discovered a few natural treatments that might help in getting rid of the unwelcomed skin condition. Scientists are currently investigating claims that vitamin A can help with Cellulite Treatment in Phoenix AZ. One randomized trial was performed on 26 women who were seeking to improve the appearance of their cellulite. One volunteer group was given a placebo while the other group was given retinal (Vitamin A). After six months of treatment, the researchers realized that the group under retinal treatment improved skin elasticity by 10 percent, while the viscosity reduced by 15 percent. Caffeine is one of the most common anti-cellulite products. It is a common ingredient in most of the anti-cellulite creams in the market today. In a study performed on mice, it was established that an emulsion of caffeine resulted in an 18 percent reduction in the diameter of the fat cells in mice. Another study performed on pigs concluded that combining caffeine treatment with ultrasound therapy resulted in the damage of adipocytes and the thickness of subcutaneous tissue. A double-blind study performed on nine healthy female volunteers revealed that combining phosphatidylcholine-based anti-cellulite gel and LED light can help in reducing the appearance of the cellulite. Although there is no miracle cure for this skin condition, scientists are still finding ways that might help in improving your condition. Diet, exercise and lifestyle changes are the first call to addressing this problem. Besides, other modern treatments such as the FDA approved Venus treatment can help to eliminate stubborn cellulite that is resistant to exercise and diet.